Our research interests are in the field of communication networks in general, wireless multi-hop networks (WMHN) like wireless sensor networks (WSN), wireless mesh networks (WMN), mobile ad hoc networks (MANET), distributed embedded systems, Future Internet (FI), and the Internet of Things (IoT) in particular. The system oriented and prototypical development of the aforementioned networks are particularly in the focus of our research. 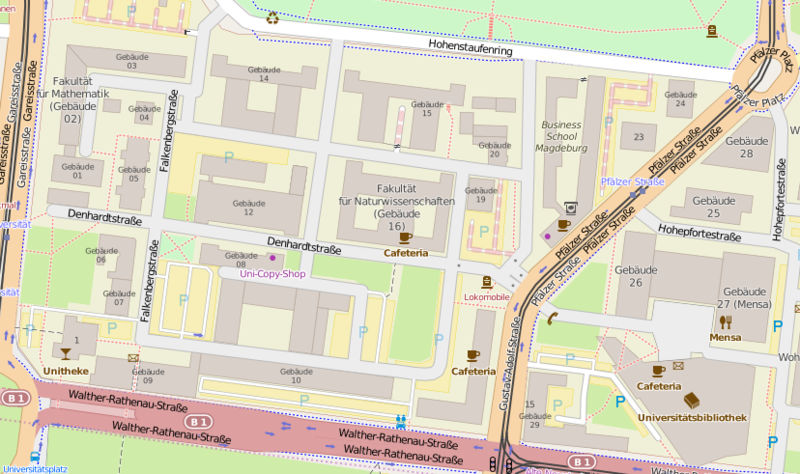 The graphic depicts the research area and the surrounding related topics. 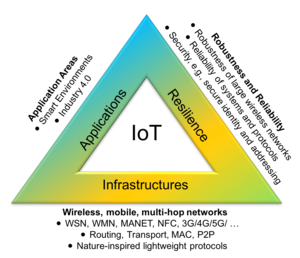 The Internet of Things is in the middle, which is embraced by applications, resilience, and networks. This emphasizes the system-oriented experimental research. Our research includes the design and performance assessment of communication protocols and network architectures. For this, we study the performance of networks and protocols from the technical performance metrics point of view, quality of service (QoS), quality of experience, and for real-time services. The main application areas of our research are Smart-Cities and Industry 4.0. For this, we develop the MIoT-Lab as an experimental laboratory that enables holistic research in these fields. The MIoT-Lab is open for students, colleagues, and industrial partners.